The only place in our house where I have found more than one stink bug is the kids bathroom. 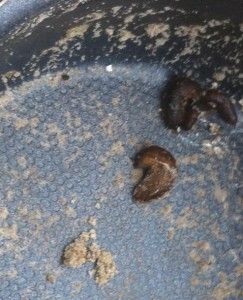 In the fall when they started to show up in people’s houses we would occasionally find one. Juliana was always watching for them. If she spotted one, she would start yelling “Stink Bug Alert” and demand that someone immediately dispose of it. No matter how bad she needed to use the bathroom she would not go in there if she knew there was a stink bug. Most nights Juliana goes right to sleep after she is settled in bed for the night. There are days where she isn’t quite ready for bed and asks for a cracker or some water, etc. But the biggest reason that she calls for us from her bed – a bug. It could be a tiny moth or a spider, regardless she can’t go to sleep if there is a bug in her room. 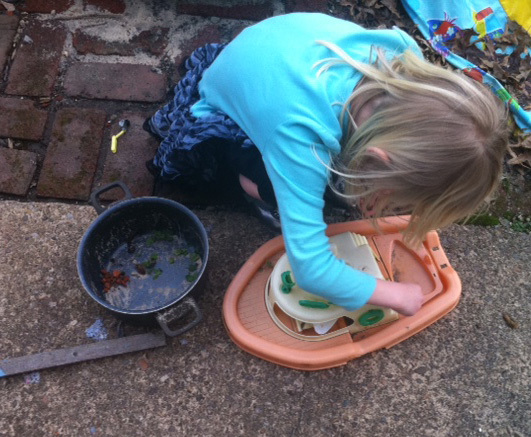 She has always been interested in nature – sticks, rocks, pine cones, leaves, digging in the dirt, collecting objects she finds in the dirt… And recently she has started to like the idea of catching bugs. 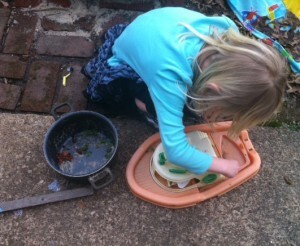 She was playing in the backyard at my parent’s house and when my mom took a closer look to see what Juliana was doing, this is what she found. 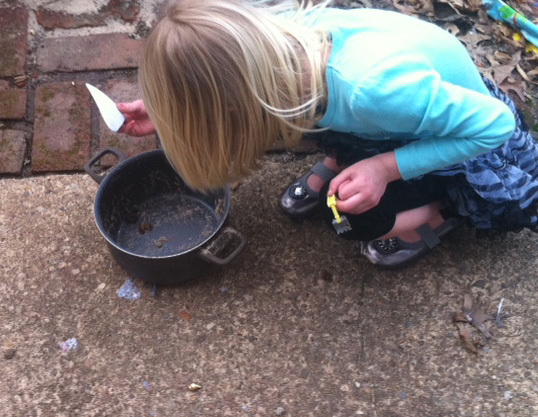 Juliana had found some pet slugs and made a home for them…and yes, she picked them up. A boat in the yard from last summer became their cruise ship. The interest in bugs outside has not cured her fear of bugs in the house; I guess bugs are ok outside because it is their home not hers.